Keurig 2.0 K525 Coffeemaker $99.99 (Reg. $169.99) + $30 Gift Card + Free Shipping! Need a small coffeemaker for the office or college? This is a higher end Keurig for a great price. 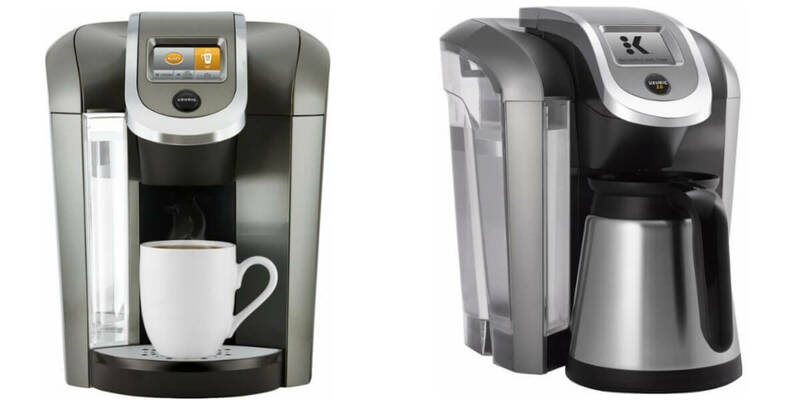 At Best Buy pick up the Keurig 2.0 K525 Coffeemaker $99.99 (Reg. $169.99) + Best Buy $30 Gift Card + Free Shipping! If you are in the market for a Keurig this is deal can’t be beat. This machine goes for $149 at stores such as Walmart and Kmart. Multi beverage machine Quickly and easily prepare your favorite beverage. Brews K-cups, k-mugs and k-carafes For versatile use. Ensure you don’t leave the multi beverage machine on Auto shut-off promotes safe operation. Digital display Provides high visibility. Brew the perfect cup Strength control lets you make coffee that suits your tastes. Over $137 in New ShopRite eCoupons – Save on Apple & Eve, Dixie, Whole Fruit & More!